David Aikman, award-winning journalist, and best-selling author, is a specialist on Russia, China, East Asia, and the Middle East. During a lengthy career as a foreign correspondent, he reported for Time Magazine from five continents and more than fifty countries. He has interviewed a number of major world figures, including Billy Graham, Manuel Noriega, Aleksandr Solzhenitsyn, Mother Teresa, Pham Van Dong, and Boris Yeltsin. David was a Senior Fellow at the Ethics and Public Policy Center in Washington, D.C. He serves The Trinity Forum as Senior Fellow. He is a regular contributor to such publications as The American Spectator and The Weekly Standard. He also speaks at university and business functions and contributes to Voice of America. 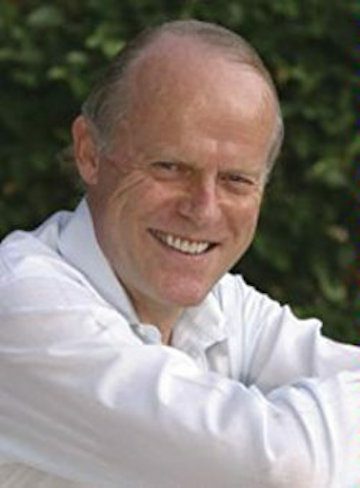 David has written and edited numerous books, including Gorbachev: An Intimate Biography (1988); Massacre in Beijing: China’s Struggle for Democracy (1989); and Hope: The Heart’s Great Quest (1995); his collection of mini-biographies of prominent figures, Great Souls: Six Who Changed the Century (1998); and his book When the Almond Tree Blossoms: Is America on the Verge of a Second Civil War? (1993) a novel, was rereleased in 2016. Raised and educated in England, he earned his B.A. at Worcester College, Oxford, his M.A. and Ph.D. at the University of Washington at Seattle. He speaks a number of languages, including Russian, Chinese, French, and German. A naturalized U.S. citizen, he lives in Virginia. Fun fact, David went on tour with Oxford University Players (Romeo and Juliet), to Israel in 1963. He was Tybalt, and Michael York was Romeo.